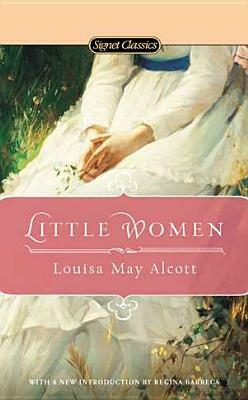 Louisa May Alcott shares the innocence of girlhood in this classic coming of age story about four sisters—Meg, Jo, Beth, and Amy. In picturesque nineteenth-century New England, tomboyish Jo, beautiful Meg, fragile Beth, and romantic Amy are responsible for keeping a home while their father is off to war. At the same time, they must come to terms with their individual personalities—and make the transition from girlhood to womanhood. It can all be quite a challenge. But the March sisters, however different, are nurtured by their wise and beloved Marmee, bound by their love for each other and the feminine strength they share. Readers of all ages have fallen instantly in love with these Little Women. Their story transcends time—making this novel endure as a classic piece of American literature that has captivated generations of readers with their charm, innocence, and wistful insights. Louisa May Alcott (1832-1888) was born in Germantown, Pennsylvania. The family later settled in Concord, Massachusetts, where Alcott was influenced by their neighbors Nathaniel Hawthorne, Ralph Waldo Emerson, and Henry David Thoreau. At a young age, Louisa took on some of the family’s financial burdens and worked as a domestic, a teacher, and a writer. In 1868 and 1869, fame and fortune came with the publication of Little Women. During her lifetime, Alcott wrote numerous novels and was an active campaigner for temperance and women’s suffrage.